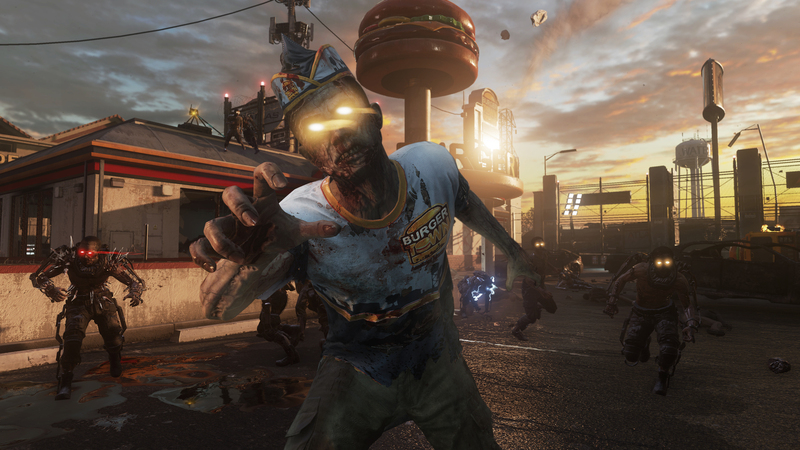 The undead are looking to make some fast food out of you, for sure. Continuing from Exo Zombies Part One, our team of heroes consisting of John Malkovich, Bill Paxton, Rose McGowan, and Jon Bernthal have survived their encounter with the technologically advanced zombie hordes at the Atlas research facility. 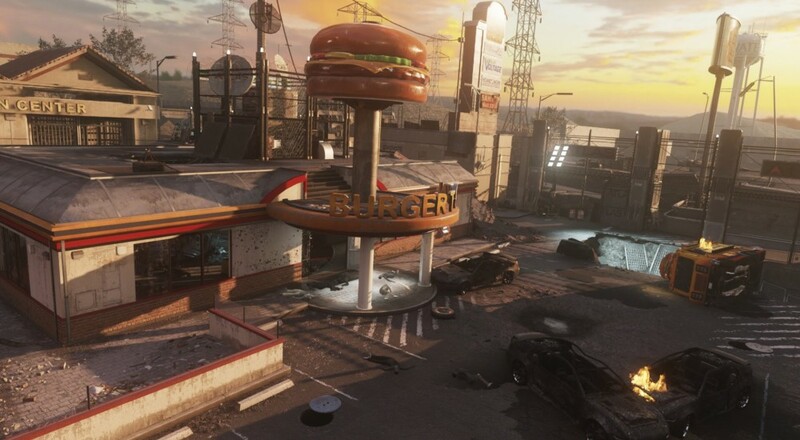 However, the surrounding suburban areas have succumbed to the outbreak - including the fast food restaurant, Burgertown, - and the infection has begun to mutate itself even further. To try to find answers for all of the chaos they've endured, they must first battle their way through the greasy chain restaurant location and hope to survive once again as a team. Remember that Exo Zombies Part Two: Infection is part of the Season Pass offering, or can be purchased individually with the Ascendance DLC Pack (other platforms are to follow in the near future). There are two more packs coming still, Supremacy and Reckoning, so hopefully this won't be the end for our celebrities.